Within the genus Lonicera, grows 180 different species of honeysuckle shrubs and vines that are categorized as evergreen or deciduous. Evergreen honeysuckles retain their color and foliage all year long, while deciduous honeysuckle die down each season. Honeysuckle shrubs are grown for their fragrant blooms and showy foliage. Ideal for growing along a garden fence or backyard border, honeysuckle are tough plants that grow in a wide range of well-drained soils. Boxleaf honeysuckle (Lonicera nitida) is an evergreen shrub with a moderate growth rate and fine texture. Dense and leafy, boxwood honeysuckle grows 6 to 8 feet tall and 4 to 6 feet wide. The long leaves are glossy and dark green. Drought-tolerant, boxleaf honeysuckle shrubs are tough shrubs that keep their color all season long, including winter. The flowers on boxleaf honeysuckle are creamy white and emerge in late summer to light up the landscape. Boxleaf honeysuckle prefers full sun to partial shade and well-drained, moist soil to thrive. The U.S. Department of Agriculture Plant Hardiness Zone for planting is 7 to 9. European fly honeysuckle (Lonicera xylosteum) is a deciduous shrub with medium texture and showy flowers. European fly honeysuckle has a rounded mound-like form and grows 8 to 10 feet tall and 10 to 12 feet wide. Ideal lining a front walkway or backyard patio, European fly honeysuckle lights up the landscape with their foliage and blooms. The white and yellow summer-blooming flowers on European fly honeysuckle grow in pairs. Alongside the blooms, dark red berries emerge to ripen throughout the summer. The simple leaves are grayish green and grow just over 2 inches long. European fly honeysuckle prefer full sun to partial shade and grow in a wide range of soil types, making for a versatile, hardy shrub. The zone for planting is 4 to 6. Winter honeysuckle (Lonicera fragrantissim), a hardy evergreen shrub, have a rapid growth rate and medium-to-coarse texture. The mounded and wide-spreading shape is irregular in form with masses of tangled, thin branches. The dark green to blue-green leaves grow 1 to 3 inches long. The lemon-scented, white flowers on the winter honeysuckle emerge in winter and are tinged with red or pink, making for a bright burst of color during winter. Winter honeysuckle grows 6 to 10 feet tall and 6 to 8 feet wide. 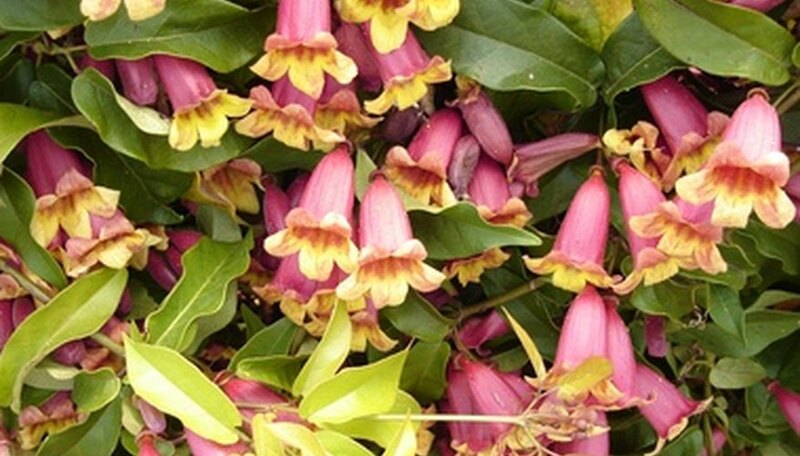 They prefer full sun to partial shade and well-drained, moist soil. The zone for planting is 4 to 8.